*To redeem your junior discount on our season passes and beginners class, please enter the discount code “JUNIOR” into our online store. 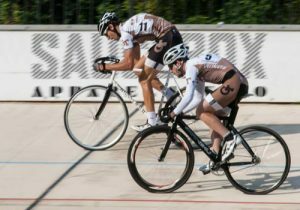 As part of our growth and evolution here at the velodrome, we recognize the need to support the development of Junior riders. 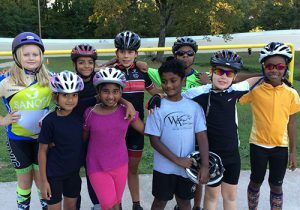 Our Youth Cycling League program is a great place for young kids to start cycling, but it’s not the only way. Below are our recommendations (based on age and experience) for where you/your child should start on the path to riding or racing on our track. This is the main group that this policy will be aimed at improving attendence for. Our hope is that at a point in time where we have a large attendance of Juniors that we would be able to create some Junior racing programs to suit this group of riders. Riders must complete the certification class at a 50% discounted rate. Riders will then move into our Tuesday racing program with the D category racers. Once riders demonstrate the skill and ability to be competitive in the C category the riders will move up to the C’s on Wednesday night. Once up to the C’s the riders will follow the normal adult upgrade procedures. Season passes will be available to these Juniors at a 50% discount on the regular rate. Day of race fees will remain the same price as adult fees. Bikes will be available during organized racing and training programs, but riders are expected to turn up early to get bikes out. Several scholarships are available for those riders who can’t afford their training and racing fees. Volunteering and race day requirements will apply for these scholarships. Email us for more info. We encourage all juniors under the age of 14 (whether licensed or unlicensed) to attend our Youth Cycling League sessions to gain experience on the velodrome. These sessions are free for all kids, so it’s a great, cost-effective way to learn and practice riding on the velodrome. We encourage juniors of this age to come to our Youth Cycling League sessions to learn to ride and race. 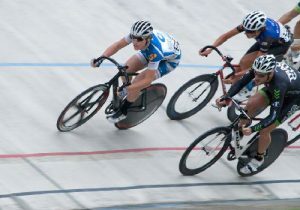 This is a great place for an inexperienced rider to learn how to ride and race on the velodrome. We encourage juniors above the age of sixteen to attend one of our certification classes and to follow the same pathway that our 14-18 licensed juniors follow to the adult racing programs.